I am told that this was taken by my father when he was 19 years old, heading up to Chimney Rock in the Alpine Lakes Wilderness with several friends, including Mike and Ann B. The beauty of these kinds of places was never lost on me as a child, but the possibility that I might one day go there was. This was my parents’ life, full of expeditions and trips with names that became pieces of family legend in my mind. I listened to stories and flipped through old photos with appreciation, but never a drive to go there myself. There were too many trails through the woods and along the beach on my beautiful island home for the mountains to be anything more than a nice place to visit and a gorgeous backdrop. The mountaineering bug would not strike me until my third decade of life. But it was always a presence in my home. Growing up on Vashon Island gave me a solid foundation in nature and nurtured my introverted spirit (no, I’m not anti-people, I just get drained by large crowds and seek out solitude to refuel my tanks). While some children grew up resenting the island, I loved how quiet and green everything was. Classmates would clamor to go to be city to hang out at the mall and go shopping. I just wanted to look for treasures on the beach, dig into the clay walls abundant in the area, and try my hand at damming and diverting local streams. My friends in school were the ones who would push the boundaries of the schoolyard by making paths through the bushes on the edge of the playground and all together we probably tracked a few cubic yards of mud through the school with us after recess. Looking back, one of the most significant things for me about living on an island was the kayaking trips we would take. 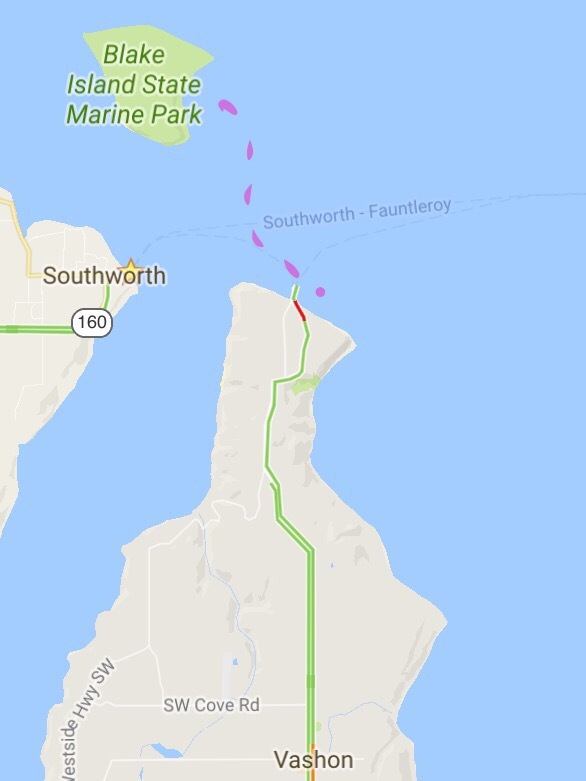 When I was seven years old, my parents put me in my own kayak and I soloed my way across from the north end of Vashon Island to Blake Island. I still smile as I remember how proud my parents were and how much they bragged about my accomplishment! To me, it was just the natrual thing to do. Our family kayaks, so I kayak. I don’t know what other kids were doing at that age, but that’s my childhood for you! 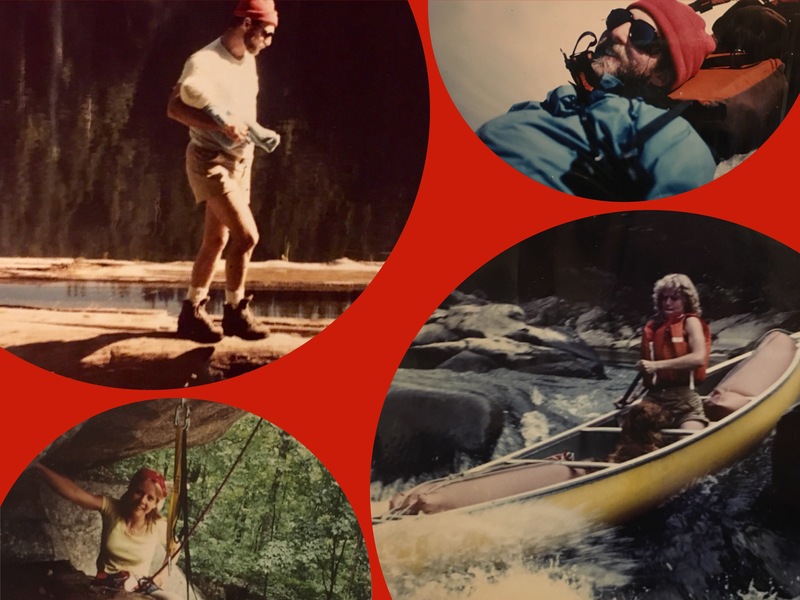 As my love for the outdoors grew, so did an awareness of my parents’ involvement in the outdoor community. Pictures from before I was born and when I was a baby gave me clues to their pre-Katja life. They ran rivers, summited mountains, and saw the world through the eyes of adventurers. One memory I have was being at home when the phone rang. It was my parents, back when the first cell phones were coming out, hiding behind a boulder on top of Mt. Ellinor and calling us to say hi. Because we could see the southernmost peaks of the Olympic skyline, including Mt. Ellinor, from the front of our house, I thought that was the coolest thing ever because I knew my mom and dad were waving at me from the top of that mountain. About 25 years later, I summitted her neighbor, Mt. 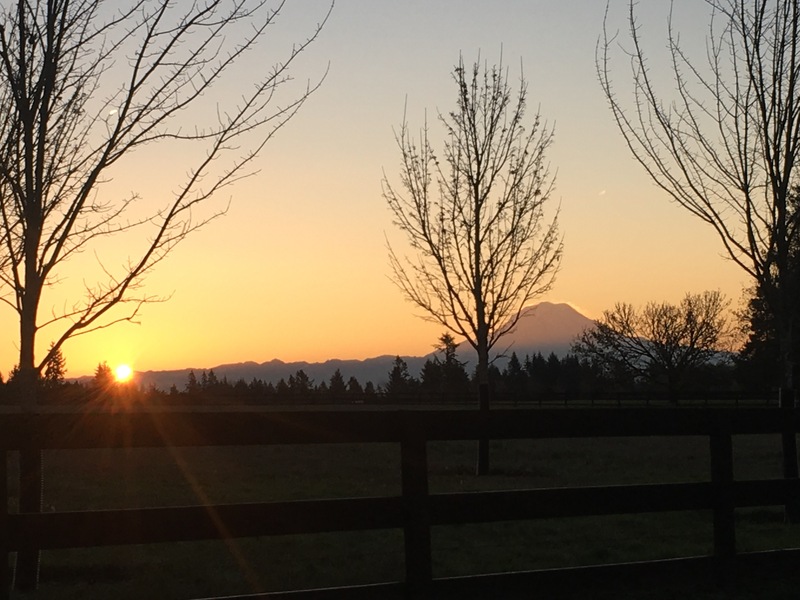 Washington, and proudly called my mom and told her that this time I was waving down at her (even though the clouds were thick and there’s no way she could have seen me–but I knew that she would know exactly where to direct her gaze). 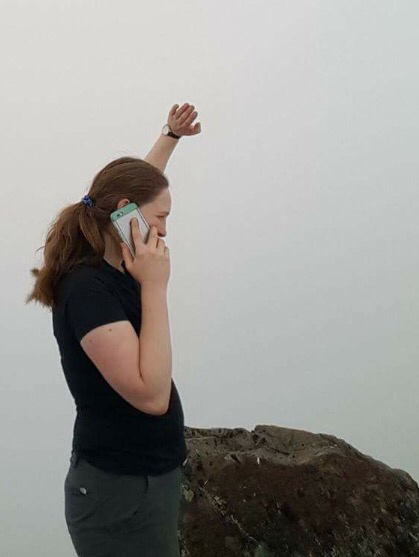 Katja at the summit of Mt, Washington – Olympics, August 2016. In addition to the amazing places they went, my parents also had their friends and mountain crews. I’ve heard so many names over the years of people I’ll never meet but I recognize their importance just by the fact that they were household names growing up. Looking back through old albums is always a treat because I get to put names to faces and wonder what it will be like years down the road looking back on the pictures I’m taking now and the friendships I’m making along these same trails. Ken, my father, who worked harder than anyone I know to give our family a comfortable life and the ability to travel and explore the world. 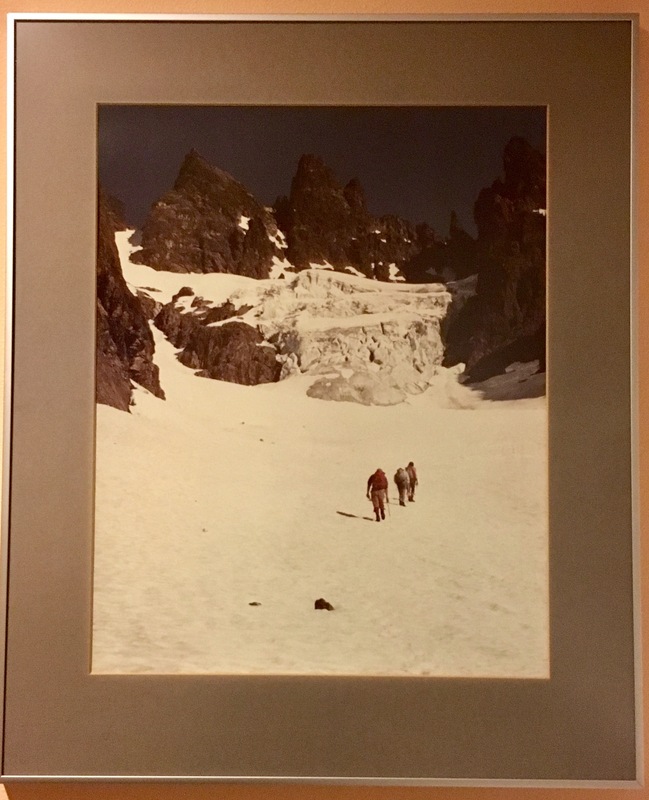 He would tell stories about his hikes and climbs as a young man, and there were pictures and articles around our house detailing his experiences. I know I’ve only seen the tip of the iceberg of the many places he’s been, so it has become a source of pride for me to tell him what I’ve been up to and both hear that he did that route when he was my age, or that I managed to find one that he’s never done. In both cases, I feel a glow of following in the legacy he created, albeit a few years later in life. Oh well, better late than never! Dad also likes to remind me of one of his favorite stories involving my early hiking days… when I was young, they took us to the Grand Canyon. I can’t remember the trail, how long it took, or much else about it, but I’ll never forget the tale that has made me famous in his eyes. While we were hiking, I needed a pitstop, so my parents directed me to the side of the trail to take care of business. As I squatted down among the canyon flora, my dad suddenly tensed up and barked at me to move! I looked over my shoulder mid-stream and there right beside me was an enormous Gila Monster! I pretty much defied gravity flying back to my parents with my pants around my ankles and have never forgotten the flora or the fauna of the Grand Canyon since! Brigitte, my mother. Mom has been a ski patroller since before I was born and when I turned 18 I followed suit and joined the National Ski Patrol as a volunteer patroller. In the summer when the snow drew back, she would take us hiking all over our beautiful northwest home. 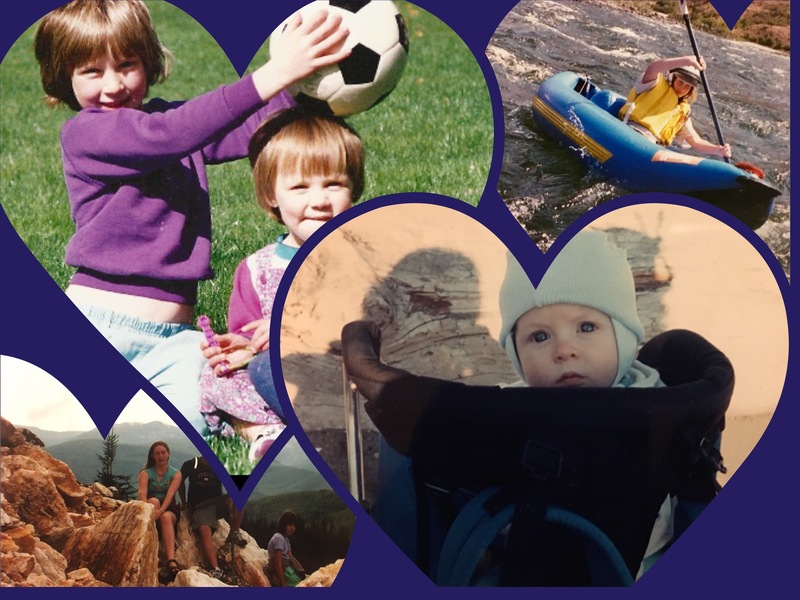 She had great ways to keep me and my younger sister, Emily, engaged on the trails. Starbursts were a common form of bribery, and thinking about it now also a good way to keep us energized and moving. She would also tell stories as we hiked about little girls just like us in magical forest kingdoms or magically exploring under the waves of Puget Sound. Hikes with mom were always fun and did a lot to instill the love of hiking in me as it was always a positive experience. One thing that always made her absolutely famous in my eyes is that she’s connected to some great movies that involve the outdoors. For one, The River Wild, my mom’s crew ran safety boats and her friend was a stunt double on the rapids for Meryl Streep. Another, Medicine Man with Sean Connery, includes a tribute to her crew in the scene where Sean Connery and Lorraine Bracco are repelling down ropes and end up in some trouble. Bracco’s character shouts, “you call this a rescue?” This small line was apparently inspired by similar hi-jinx that my mom’s climbing crew got into and the story was told to people involved with the movie. I always loved stories like these and will never get tired of hearing about my mom’s adventures! The Brown Clan. Where do I begin? They have always been close family friends in numerous stories and photos from my childhood and before. That very first photo on this page that hung on the wall growing up? That’s one of the Brown clan, Mike, out hiking with my dad. 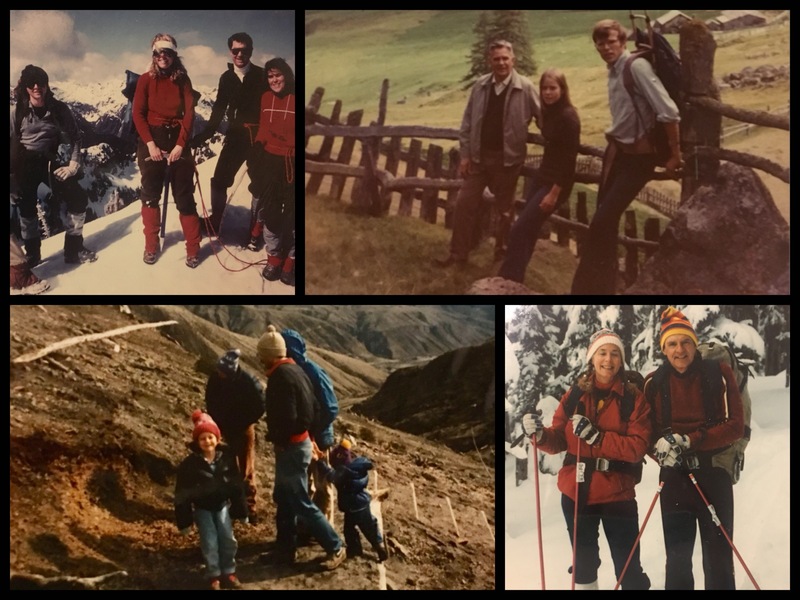 Through twists and turns of life, these amazing friends officially became family when Mike and Brigitte were married and the mountaineering legends, Jack and Billee, became my grandparents. In their 80s, my grandmother and grandfather are still traveling and out snowshoeing and hiking all over the place! Mike and Brigitte are often out running together, finding rocks to climb when they travel, and nudging me to be still be cautious (what are parents for?) while spreading my wings even further. I remember telling Mike how proud I was when I came back from Camp Muir. He laughed and told me he’d been doing that since he was a kid, then asked what was next. 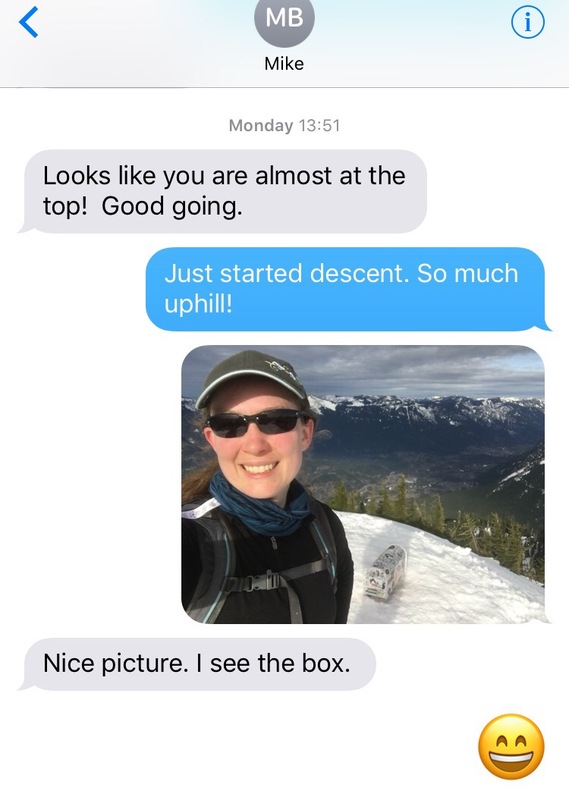 He’s been a great influence and resource, and it’s nice to have him looking over my shoulder with the GPS tracker our phones share and checking in on me, especially when I solo. No journey is ever easy, and life is no exception, especially when it involves mountains. However, the foundations I’ve been given and the lessons from those who’ve come before have helped me grow into the person I am today. I am grateful to them all, and look forward to leaving a legacy of my own for future adventurers to follow. To those who have shaped me with your lives, love, lessons, thank you. This poem is shared in your honor, with gratitude.